Vast-Auto Distribution is a leader in the distribution and marketing of automotive parts for auto parts stores in Eastern Canada. Operating the Auto Value, Mister Muffler, Auto Mecano and OCTO Auto Service Plus banners, Vast-Auto offers its customers a complete business solution, including a wide range of quality parts, innovative marketing programs as well as training and business management systems. 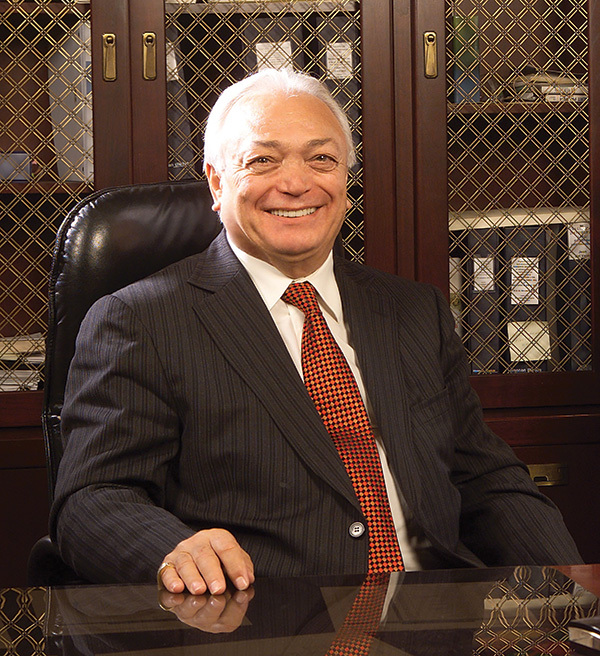 Vast-Auto Distribution is the brainchild of Mr. John Del Vasto. Following his acquisition in 1986 of Entreposage Jarry Ltée, an automotive parts distribution company well-established since 1970, Mr. Del Vasto immediately saw business opportunities in the automotive industry. A winning partnetship : the driving force behind your success! In 1992 Vast-Auto Distribution entered into a partnership with Auto Value Associates Inc., one of the largest auto parts buying groups in North America (today known as the Aftermarket Auto Parts Alliance Inc.). This alliance allowed Vast-Auto Distribution to introduce in the province of Quebec the complete distribution and marketing programs offered by Auto Value. In 1999, Vast-Auto Distribution created Group MMO and acquired the franchise rights to Mister Muffler and OCTO Auto Service Plus, thereby consolidating its core presence in the automotive aftermarket industry in Eastern Canada. 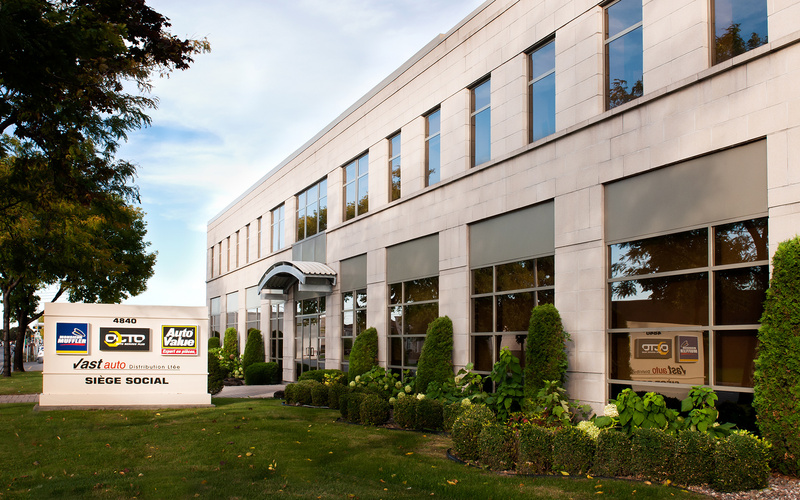 In 2007, in order to penetrate the Ontario market and strengthen its presence throughout the national automotive aftermarket industry, Vast-Auto Distribution acquired Base Automotive, a well-established distribution center based in Toronto, that will become its Scarborough warehouse in 2010. Consolidating its presence in Ontario in 2014 with the London warehouse, the Atlantic Provinces will be the next objective of Vast-Auto Distribution. To increase the company’s market shares in the Maritimes, Vast-Auto Distribution Atlantic (the result of a strategic alliance with Eastern Automotive Warehousing) was born in the summer of 2014. The synergy and efficiency optimization made ​​possible by the union of the two companies allow us to better serve existing customers and help develop the full potential of the Atlantic provinces. Today, Vast-Auto Distribution’s eight centers cover nearly 460,000 square feet and employ over 400 people. Thanks to its strong partnerships and staff, Vast-Auto Distribution looks to the future with optimism, as precursor in the aftermarket automobile industry. 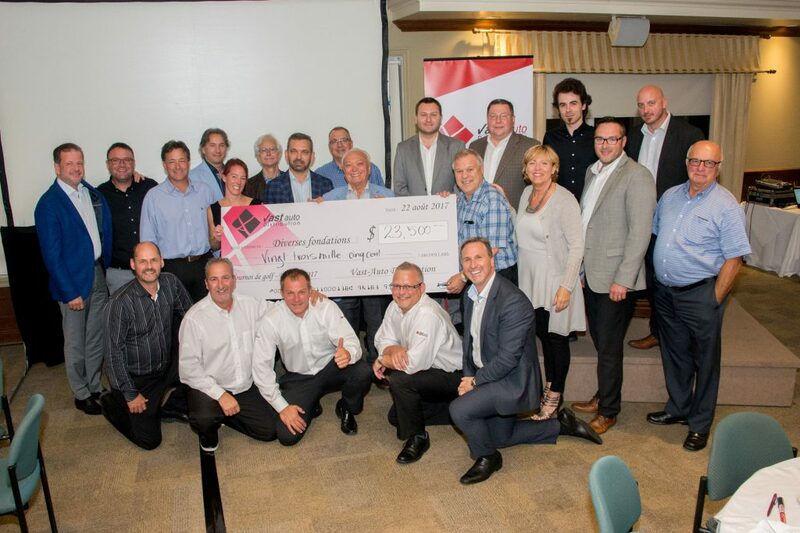 Vast-Auto Distribution is committed to giving back to the community through fundraising programs and events held for various charity organizations. The company supports a variety of non-profit organizations and foundations that play an important role in the lives of individuals. Whenever possible, Vast-Auto serves as a fundraising platform for charitable endeavours initiated by its clients and employees. A proud partner of many causes, Vast-Auto organizes an annual golf tournament to raise funds for various Quebec-based foundations. Since 2003, the company has donated more than $500,000 to various charitable foundations.